Channel-Pro SMB: Voxox Says “Hola” to Mexico Cloud Calling? Channel Partners: What Will Your Customers Pay For Hosted VoIP? InformationWeek: 9 Skype Alternatives Worth Considering! TMCnet: OTT is All About Calling? Telecom TV: Are telcos ready to break from the pack and do their own OTT? TechRadar Pro: Voxox Cloud Phone Review — Make Your Business Calls Mobile… But is it Worth the Extra Expense? Mobile Marketer: Can Uber extend its influence beyond transportation? TruTower: Facebook Messenger Division From Main App Causes Backlash from Consumers. Could it Be For More User Data? Mobile Marketer: Is Facebook positioning Messenger to be its commerce and payments play? Cult of Android: VoIP App Voxox Acquires PokeTALK, Samsung Tablets To Come Preloaded with Voxox? TruTower: Voxox Acquires PokeTALK International Calling Service From E Mobile, Inc.
Wireless Week: What Does the Future Hold for OTT Rich Communication Apps? For the First Timer: First Time in a Long Distance Relationship?? Tips to Make it work! RCRWirelessNews: VoxOx for Operators Program, Company Overview Video! TMC Net: CTIA 2013 Gems: VoxOx – Skype on Steroids, Anyone? All These Little Things Blog: LDR. Make it work! The Red Zone 88: Free Software to Try!! 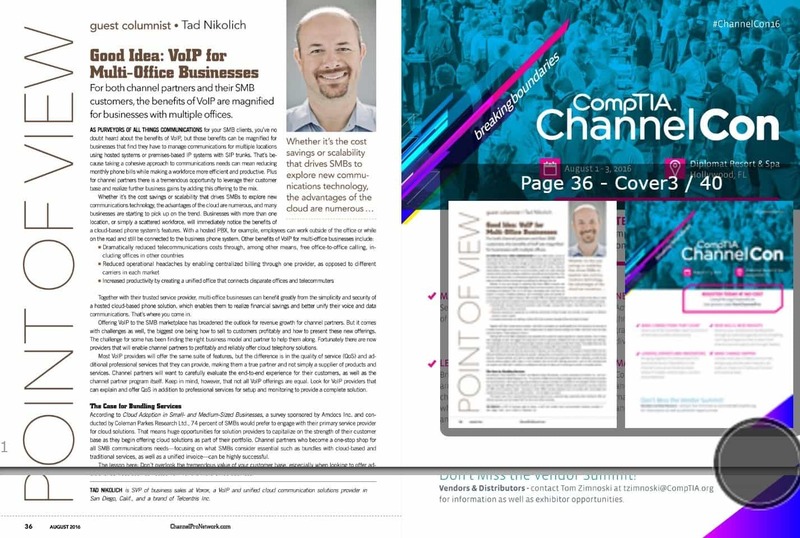 ConnectedPlanet: Data-Max Wireless Selects VoxOx In Business White Label VoIP Solutions by Telcentris Inc.
ChannelPartners: Ready To Party and Win Prizes at Channel Partners? MSPMentor: Channel Partners Conference: Will VARs Embrace Hosted PBXes? Channel Partners Expo Blog: Check Out the Prizes and Parties! EnterpriseVoIPPlanet: VoxOx- The next generation. Voxox Unveils Distribution Partnership Agreement with Telecom Brokerage, Inc.
2009 – Are you ready for the Ox?